Dr. Defeng Li is Professor of Translation Studies and Director of Centre for Studies of Translation, Interpreting and Cognition (CSTIC) of University of Macau. Prior to his current appointment, he served as Chair of the Centre for Translation Studies and Reader in Translation Studies at SOAS, University of London, Director of MA in Translation and Associate Professor at the Chinese University of Hong Kong, Dean and Chair Professor at Shandong University and (visiting) Chair Professor at Shanghai Jiaotong University. Other positions he has held include, among others, Vice-President of the Pacific Association of Computer-Assisted Language Learning, Executive Member of the Translator Training Committee of International Association of Translation and Intercultural Studies, and Advisor to Translation Committee of European Society for Translation Studies. 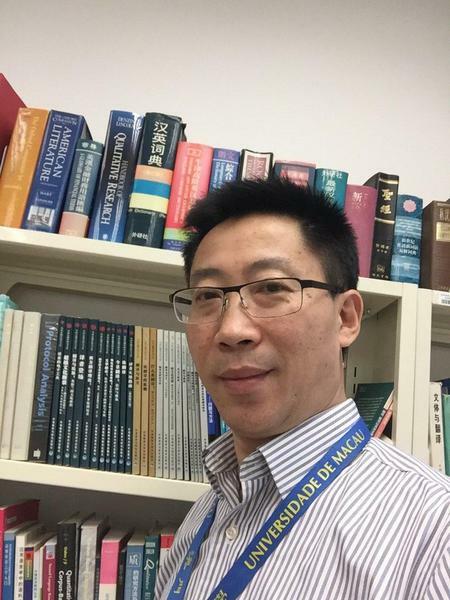 Dr. Li takes an keen interest in Research Methods in Translation Studies, Corpus-Assisted Translation Studies, Neuro-cognitive Processes of Translation and Interpreting, Curriculum Development in Translator Training, Professional Translation (e.g. Business, Journalistic, Legal Translation), as well as Second Language Education. He has published in journals such as Target: International Journal of Translation Studies, Meta: Translators' Journal, Interpreter and Translator Trainer, Literary and Linguistic Computing, Babel: International Journal of Translation, International Journal of Applied Linguistics, ATA Chronicle, Perspectives: Studies in Translatology, Translation Quarterly, TESOL Quarterly, 《外国语》 and 《中国翻译》.